Pulse pressure – the difference between diastolic and systolic pressure readings. A high pulse pressure is thought to be a predictor of heart problems. 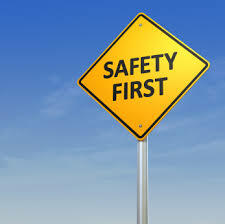 Of course, it is obvious that using a cell phone while driving a big rig can and does lead to many accidents. However, the other two factors – pulse pressure and feelings of exhaustion after work – baffled the researchers. Matthew Thiese, an assistant professor at the university noted that when he was looking at crash risks, he was very surprised to discover that feelings of exhaustion after work could cause a crash at a later time. He also found that many truck drivers have unregulated hypertension and high cholesterol. Also, about 100 of the study participants said they were using blood pressure medication but still had hypertension. This was surprising because truck drivers must pass a physical examination and certification every two years to drive. Thiese’s study did identify these two unusual factors that may lead to crashes, but future studies will be needed to understand why this is the case. In the meantime, Thiese recommends that truck drivers should do their best to maintain a healthy diet, exercise and get proper rest each day that they drive as mandated by law. Doing these things should reduce pulse pressure and exhaustion, which could correlate to fewer truck crashes. Our trucking accident lawyers have worked on tragic cases involving truckers with poor health, which directly led to fatal wrecks. In a Virginia case, we represented the family of a driver who was rear ended on the interstate by a big rig and killed. We proved that the truck driver had poorly controlled diabetes that was in part responsible for the truck driver hitting our client, leading to a $3.5 million settlement. We are intrigued to learn more about why these two factors may lead to more truck crashes. Perhaps lives can be saved once we understand more.